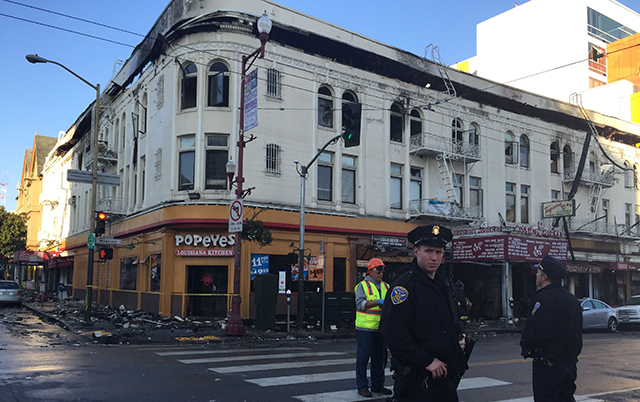 If there was a silver lining to the horrific fire at 22nd and Mission last month, it was how it brought out the best in our community– the way people rallied around the GoFundMe campaign; the generous effort of local restaurants, organized by Tartine and Bi-Rite, to feed displaced tenants; and the genuine concern of residents that those tenants had everything from diapers to inhalers. Although we at Mission Local lost our offices too, we found it immensely fulfilling to be doing just what a local news site should do – keep everyone informed of the latest developments, including what all of us can do to support our neighbors. We were gratified, too, to receive multiple offers of temporary space, and it looks like we will have a permanent home next month at the Mission Economic and Development Agency. We signed up some new business members, and many others emailed to wish us well. So now it’s back to sales and the unavoidable bottom line: If we can’t get enough business and readers to join, we will cease to exist. No matter how clearly I think I’ve delivered that message, I still find confusion. No, we are no longer part of UC Berkeley. Yes, we are entirely dependent on reader and business support. A new business model came up this week with the near death experience of Borderlands. Alan Beatts, the owner of the sci-fi bookstore on Valencia, had announced plans to close because the advent of the city’s higher minimum wage would make the business unsustainable. Then on Thursday at 6 p.m., Beatts said he would continue for another year if 300 people paid $100 to become sponsors by the end of March. In less than 48 hours, Borderlands had its 300 sponsors. What’s the lesson here? A drop dead date? Sponsors rather than members? An intergalactic audience? We’re thinking of all three, but for now, we’re still seeking new members. Last week, before I started calling around, I sent potential members an e-mail pointing out that the fire had underscored the importance of having an independent news site that sends reporters into the street. It proved how essential it is to have a talented and committed reporting team. Operating in less-than-optimal working conditions, our staff – Daniel Hirsch, Andrea Valencia and Laura Wenus – never flagged, never cracked under pressure, and managed to publish two investigative pieces about the building and its owner’s other properties a week ahead of the SF Chronicle’s first piece. Bravo, all! This is a team worth working to support. And it is worthy of your support. So take my calls this week. Or just join as a reader or a business to put us over the moon!